Chatham Connection: Drummer Nigel Barylewicz is from Chatham. He spent his high school years playing guitar in local death metal bands. Nigel later moved to Toronto after high school and released a bunch of solo experimental records through the 2000’s. He plays several instruments, but landed this gig as the drummer for the popular band Lye. Notes: After solidifying their lineup, Lye took on new management, a new name, and a redeveloped website and worked for months to perfect their live show. 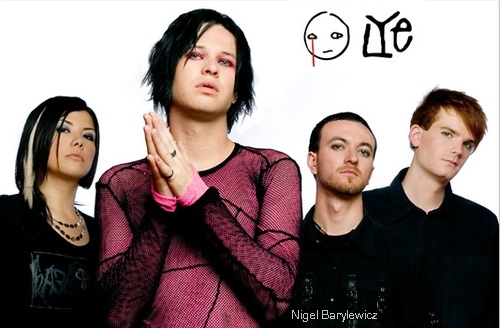 Lye now consists of vocalist Brett Carruthers, guitarist James Toth, bassist Stephany Seki and drummer Nigel Barylewicz. Never afraid to jump from the stage and join their fans, the members of Lye have founded their reputation on an interactive and cathartic live show. Carruthers is a manic frontman whose range of emotion runs from one extreme to another. After announcing “this song is a love song” Carruthers bursts into a screaming rage amidst members of the audience. 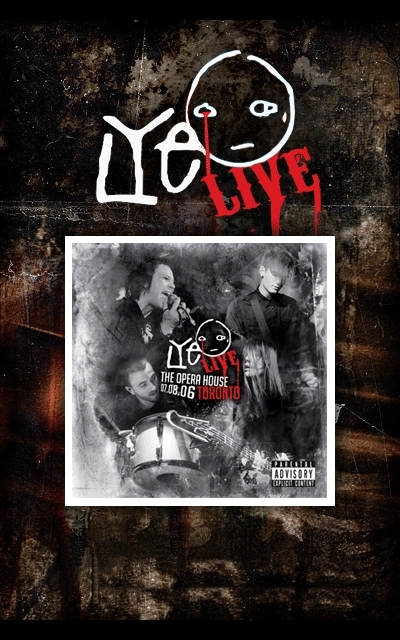 In 2007, the band released a DVD ‘Live At The Opera House July 8 2006’.